The “Mission: Impossible” franchise is one of those rare series that gets better with each entry. While most long running franchises become simplistic and lazy with later entries, such as Batman and Star Trek, this series continues to surprise audiences with its stunts, great acting and high stakes with astonishing results. I can honestly say that each “Mission: Impossible” movie has been more surprising than the last, because I never expect these movies to be anything more than action pieces and instead get a visual and suspenseful treat. Beyond the crazy and breath-taking stunts and little use of CGI throughout all of these movies, in other words when Tom Cruise looks like he’s hanging onto the edge of a cliff with no support it is all real, the reason these films work so well is that they serve as an antithesis to the Marvel superhero flicks or the “Fast and Furious” movies. 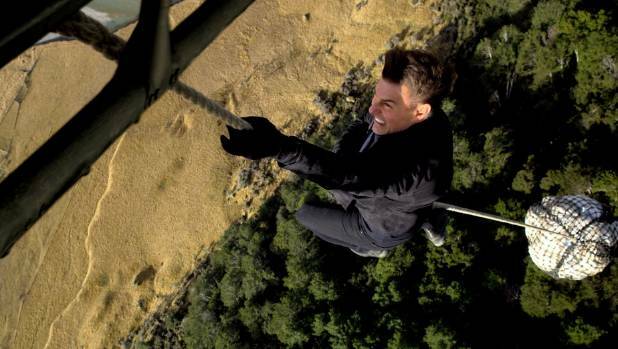 Rather than going for quick, people-pleasing jokes or over-the-top action sequences, “Mission: Impossible” is as serious as they come without sacrificing realism and tension. 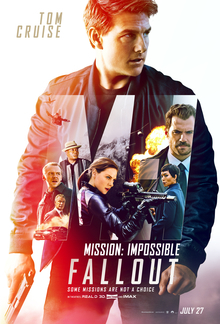 The tone feels like if Alfred Hitchcock directed a big-budget blockbuster, and “Mission: Impossible – Fallout” racks up the tone to unnerving yet personal heights. Building off the events of “Rogue Nation,” the remnants of an evil crime syndicate have dedicated themselves bringing a great peace to the world at any cost necessary. Their most recent plan involves stealing three plutonium cores and a captured nuclear weapons expert and threaten the world with three rogue atomic bombs. The IMF tasks Ethan Hunt (Tom Cruise) and his team with stopping these plutonium cores from falling into the wrong hands before they can be used on the world at large. But after Hunt fails to secure the cores, the CIA orders one of their best agents, August Walker (Henry Cavill) to make sure this mission is a success, despite Hunt and Walker have different agendas. My biggest complaint with the spy/agent genre is that the protagonist always seems so detached emotionally that it’s difficult to get invested in his struggle to save the world. 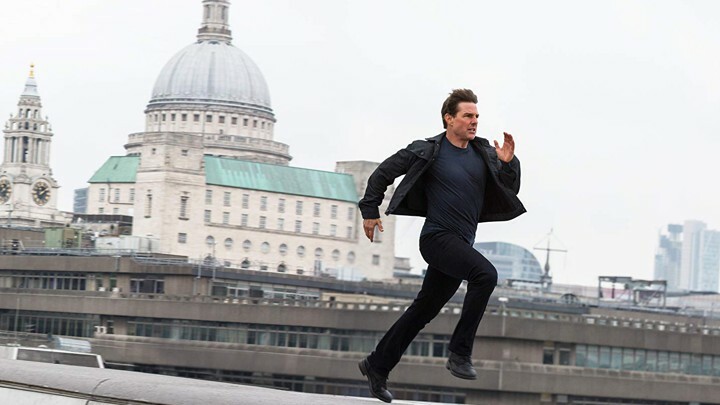 The “Mission: Impossible” movies have bounced this back and forth, sometimes making more about Ethan Hunt’s personal dilemmas, like in “Mission: Impossible 3,” while others like “Ghost Protocol” and “Rogue Nation” focus less on the characters and more on the dilemma. “Fallout” finds the perfect balance between the two as the opening establishes the severity of the situation, while Cruise is given far more room to show his acting abilities in this than any other film in the series. All while the top-notched acting from Simon Pegg, Ving Rhames, Henry Cavill and Rebecca Ferguson keep the film from ever getting stale. Of course, the highlights of “Fallout” are the wonderful stunts and action pieces, with each piece feeling and looking different from the last. I was impressed by how little CGI was used throughout the stunts, or if CGI was used it was well hidden. I found the most impressive stunt to be Cruise and Cavill doing a HALO jump onto downtown Paris all done in one take. Then again, I’m a sucker for impressive scenes performed in one shot, though this jump out of a plane would still be stunning if it were done in multiple takes. Each action sequence delivers the right punch with enough style and flair to make you take notice of these complex and death-defying stunts. However, “Fallout” does have some pacing problems, especially near the halfway point. As the film begins and ends, the pacing is quick and satisfying, lingering on some scenes just long enough to make the more human moments of grief and horror stand out. But in the middle, the pace comes to screeching halt with several long takes that feel out of place in this movie. It’s nothing too major, but it does take away some of the tension that thankfully returns near the end of the second act. 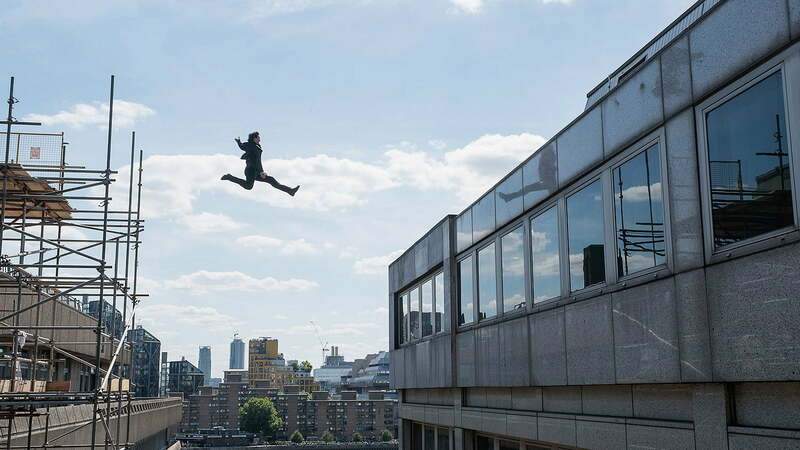 Overall, “Mission: Impossible – Fallout,” is the best film in the franchise and continues to demonstrate just how talented Tom Cruise is as both a stuntman and an actor. Showcasing an array of awe-inspiring stunts with very little trick photography and some great choreography during action sequences, this is the best action movie experience of the year. It is tense and breath-taking while remaining grounded in reality, making it about the people involved instead of grand schemes and hidden agendas. I cannot recommend this film enough to those who enjoy engrossing suspenseful tales.